Want to know different ways to get other people to do what you want them to do? Which negotiation behaviors are constructive and which are destructive to reaching agreement? Emotional language within an intended hearer's “tolerance zone” is more persuasive than intellectual language. Which words are intellectual and which emotional? 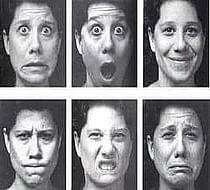 What emotions are there to display? How does language conceal and distort reality? What is needed for a persuasive and psychologically satisfying explanation? All arguments rely on values, directly or indirectly. How can values in arguments be used effectively? How can values in others' arguments be identified and rebutted?